The rules and terms of using, and the acceptable ways of behavior of the Meetdubrovnik.com Internet pages user are there to protect the user of Meetdubrovnik.com services, the tourist agency "Recreativa" and the rest of the Internet users, from irresponsible, disturbing, distracting, and in worst cases illegal activities. By following the terms of using, You will ensure, both Yourself and other users, a more pleasant and productive using of the "Recreativa" services. 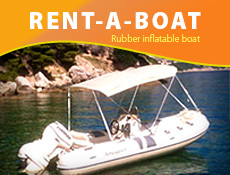 The contents and the services on the Meetdubrovnik.com Internet pages are at disposal to users, visitors and business partners, according to the terms defined by this contract. The contents and the services on these pages are primarily designed for everyone interested in the possibilities and the development of the Croatian tourism. The materials published on Meetdubrovnik.com Internet pages have a commercial and informational character, and the users can be using them solely for a personal cause. The purpose of the Meetdubrovnik.com Internet pages is to provide quality information, for the interested users, about the tourist offering of the Croatian Adriatic. With an enormous number of information, topic groupings and possibilities of internal search, we want to ensure a complete availability to different information, which will have the crucial influence for the user during the selection of location, the accommodation and the way in he will spend his vacation. We give special attention to the high quality presentation of the Meetdubrovnik.com private accommodation capacity. Numerous detailed information and photographs related to the object, the interior of each accommodation unit inside the object, a terrace, balcony, view from the object, garden plot and yard, parking space, nearest beaches, and the most beautiful beaches in the place itself, and the Riviera of the place where the object is situated and an enclosed 3D review of each accommodation unit, give a realistic insight to the accommodation capacities that want to be reserved, and are, as such, the best guarantee to setting-down unpleasant surprises at arrival. Recreativa is obligated to take all reasonable measures in indisputable submitting of the accurate and quality information. But this way, we are introducing the user to the fact that mistakes, faults and delays in upgrading the information, and typographic faults, can appear apart from the responsibility of "Recreativa". Considering the fact that all the information, data and photographs, related to the private accommodation, are gathered by the Recreativa personnel, the responsibility for mistakes, faults and delays in upgrading that part of the web, undertakes Recreativa, according to the common terms of submitting services of accommodation in private capacities of physical persons. This web site is dedicated exclusively for Your personal and unprofitable use. There is no changing, multiplying, distributing, direct transferring, displaying, introducing, reproducing, publishing, authorizing, creating copies, selling information, software, products or services, in the ownership of this web site. All photographs, especially the ones that have the www.meetdubrovnik.com trademark, are the exclusive ownership of Recreativa. The copyright to all the materials that are on the Internet pages, belong to Recreativa. The user and the visitor of www.meetdubrovnik.com cannot copy or use the information for profitable purposes without the knowledge and written license of Recreativa. All rights are reserved. The permission is given to the subjects of the media and other tourist agency-partners, to use the mentioned material solely for advertising, informational and office purposes of publishing in the newspaper, magazines and electronic media, and the Internet pages of our agency-partners, according to the agreement achieved with Recreativa. A different kind of use of the material from the Meetdubrovnik.com Internet pages is not allowed. By using the material from the Internet pages, media users and tourist-agency partners are obligated to totally conform hereby-established limitations, terms and requests, if it hasn't been established differently, by a special contract. Your privacy and communication with „Recreativa“ has a complete protection in a way that we ask for Your personal data only in case You show interest in the payment of advance, i.e. with the final confirmation of reservation, so that we could register the done payment of the wanted accommodation on Your name, and send You all the necessary material to Your home address. All of Your personal data will only be given to the submitter of services at the accommodation unit that You've reserved through our system. We want to inform You this way that Your data will be used in order to occasionally inform You of all the relevant changes happening on the Meetdubrovnik.com. In case you do not want to receive any information about changes, favors and special offerings on the Meetdubrovnik.com, we would like You to inform us about it. Due to the safety of data on the Meetdubrovnik.com Internet pages, we made sure that the computer system is using the programs that keep track of visits to the web and recognizes the unauthorized attempts of shipping or changing the data, as those that could cause damage in some other way. Unauthorized attempts of shipping or changing the data are strictly forbidden at this location, and lawful, or by these terms specified sanctions, will be applied to the offenders. „Recreativa“ does not guarantee the safety and privacy of the messages sent by electronic mail, because of the insecurity of the media itself. Using this web-site You undertake not to use the data and information, and especially the photographs, as well as any other material in the possession of Recreativa or its partners, for legally forbidden or by these terms unlicensed actions or causes. These Internet pages also carry the links to the Internet pages that are under surveillance of other physical or legitimate persons. Those links are available only as a recommendation, i.e. a potential source of additional and more extensive information. Since Adriatic.hr does not have any influence to their editing policy, it is, with this contract, free of all responsibility for their contents and the veracity and accuracy of the information that are there. This contract is being applied until one of the contract parties breaks it. You can break this contract at any time in a way to stop using this Internet page and to destroy all the material You downloaded from it, printed or saved in any other way. The user is agreeable that this contract can be transferred onto another person.